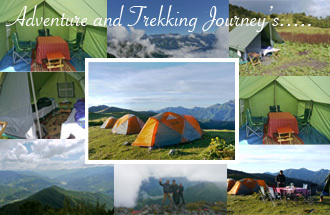 This is a classy 6 days trek which goes up to 4,000 m Lakes making it bit strenuous. 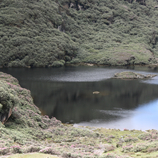 The route is sparsely inhabited (by nomadic yak herders) but there are wonderful lakes teeming with fish and the area is known for spectacular rhododendron forests. This trek provides an excellent views of the Himalaya during autumn and winter (weather permitting). In case if you have a limited time then this trek can be modify to 4 days doing it in a reverse direction. -This is a short trekking day. The trek trail is rather gradual till the camp and if the weather is clear, the Paro Valley can be seen against the backdrop of snowcapped mountains. -You begin with about an hour and a halts climb. 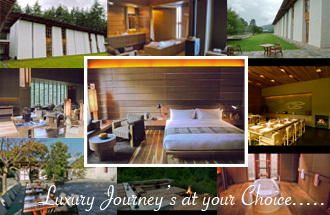 The trail takes you through thick alpine forest and dwarf rhododendron tress. You may seek yaks and yak herders around your camp site. 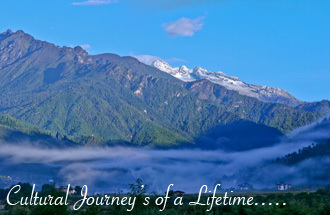 -The trail follows the ridge and on a clear day the view of the mountains and valley are beautiful. The campsite is close to the Lake Jimilangtso. These lakes are known for their giant sized trouts and if lucky you may enjoy a well-prepared lake trout for dinner. 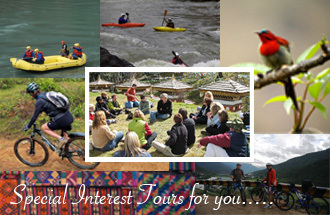 -The trail takes you through dwarf rhododendron trees and the lake of Janctso. You may come across some yak herder’s camps where you will have the opportunity to get a glimpse of nomadic life. The campsite is close to Simkota Lake and if you are lucky, you can do some trout fishing. -The trek begins with a gradual climb. If the weather permits, you will have a spectacular view of Mount Gangkhar Punsum", the highest mountain in Bhutan as well as other Himalayan mountain ranges from the Dochula pass. From here, the trek takes you downhill to Phajoding Cafeteria for a nights halt. 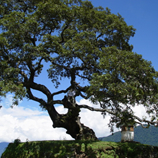 -The trek to Thimphu is all the way downhill through a forested area of mostly blue pine. The walk, at a leisurely pace, takes about three hours. Back to hotel for a hot shower and delicious lunch. -Visit Tashichho Dzong, the seat of the Royal Government and the summer residence of the Head Abbot and the central monastic school. 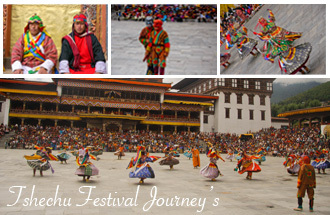 -Visit the handicrafts emporium where Bhutanese textiles and other arts are displayed and can be purchased. Visit the painting and wood craft schools where the traditional art and painting are kept alive. -Visit the Memorial Chorten, a huge stupa built in memory of the third King who reigned from 1952-1972. Visit the National Library where ancient manuscripts are preserved. 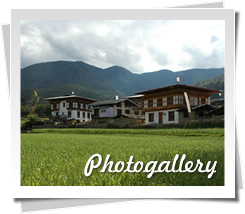 -Visit Simtokba Dzong (6 kms from Thimphu), the oldest Dzong in Bhutan, built in 1629 A.D. The Simtokha Dzong houses the largest monastic school in the country. -Drive to Paro and visit Drugyel Dzong (a ruined fortress - 16 kms away from the Paro Town).